Stay at sought after lodges in the heart of the parks. 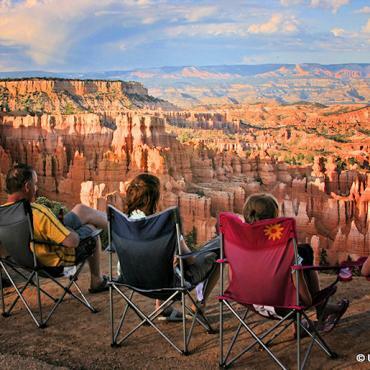 Enjoy an ecological talk on the Grand Canyon's rim by a geology expert, a private Lake Powell dinner cruise aboard a yacht, an interpretive lecture on Southwestern ecology, a float trip on the Colorado River, aerial sightseeing over Rainbow Bridge, an off-road adventure to colourful slot canyons, Bryce Canyon's hoodoos and an overnight in Las Vegas. This incredible tour is featured in the video below. A transfer is included from Phoenix Sky Harbor International Airport to Four Seasons Resort Scottsdale at Troon North. 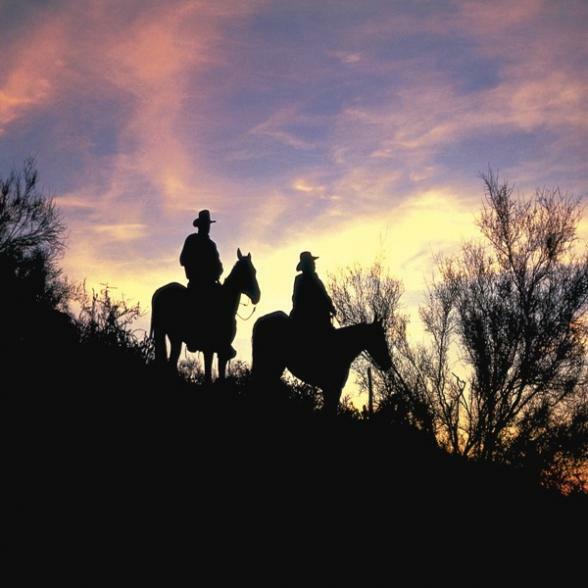 Meet your travel companions at the welcome reception and dinner tonight at your luxury desert resort nestled in the Arizona mountains. 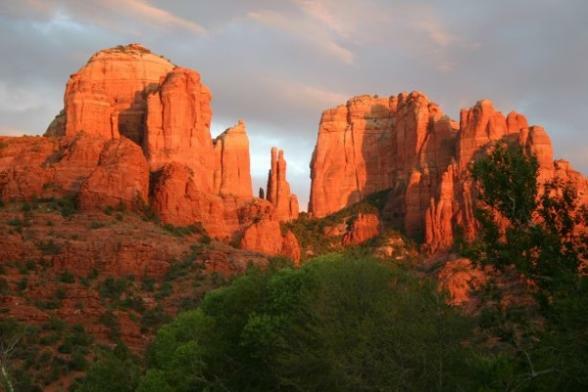 Kick off your Southwest and Grand Canyon tour with a visit to Sedona - home to famous red-rock formations with whimiscal names like the Mittens and the Rabbit Ears, and the backdrop for many western movies and TV shows - for a guided walking tour that takes a look at the early settlers, cowboys, artists and Hollywood celebrities who shaped this intriguing town. 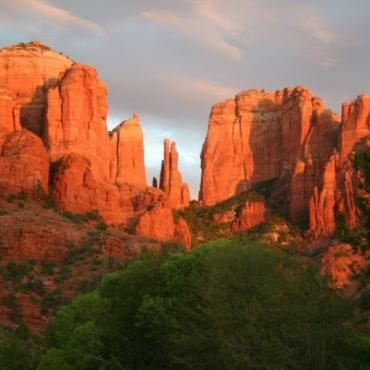 Wind through Oak Creek Canyon and Flagstaff en route to Grand Canyon National Park. 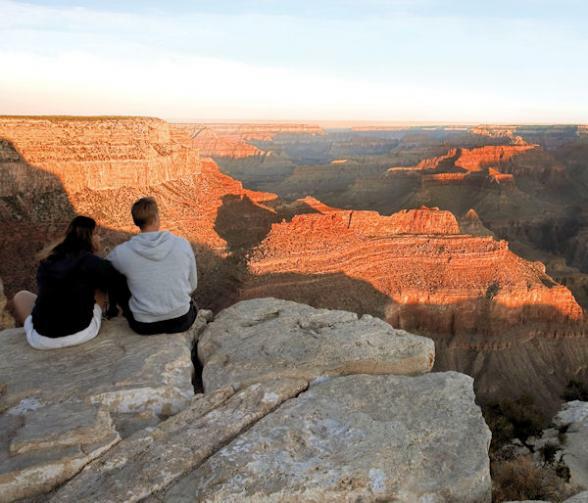 Arrive at your inside-the-park lodge on the South Rim of the amazing Grand Canyon, carved over millions of years by the Colorado River, and now a UNESCO World Heritage Site. Tonight, enjoy dinner at your choice of restaurants on the canyon's rim at El Tovar, the Arizona Room or Bright Angel Café. 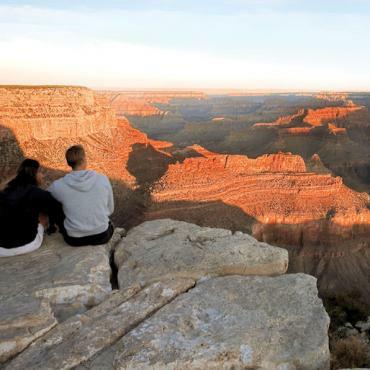 You just might want to take advantage of your lodge's ideal location on the South Rim by waking early enough to catch one of nature's grandest shows - a Grand Canyon sunrise. 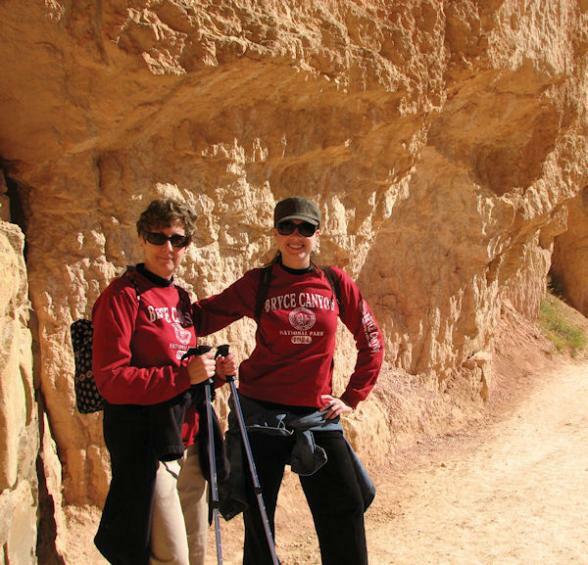 Learn about the geology and wildlife of the region from a local geology expert in a perfect location, right on the rim. And no Grand Canyon tour would be complete without exploring the canyon rim and Canyon Village as you please, witnessing the rugged landscape's vast grandeur and changing colors as the sun climbs in the sky. 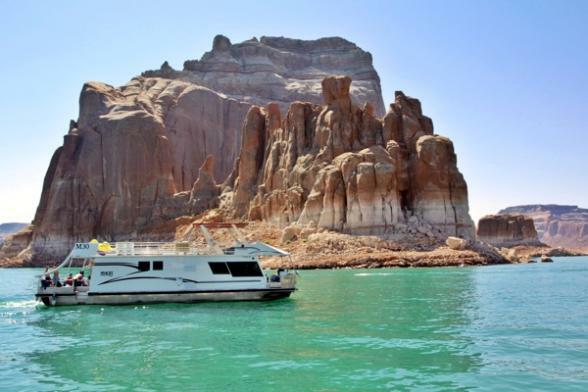 Travel through the Navajo Reservation en route to the Glen Canyon National Recreation Area and Lake Powell, one of the largest man-made lakes in the world, for a two-night stay. 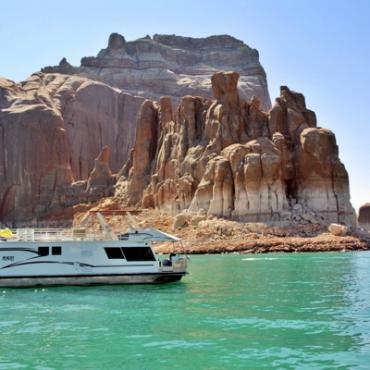 A lecture on the ecology of the Southwest is followed by a true highlight - a private Lake Powell dinner cruise aboard a sleek double-decked yacht for Tauck guests only. See remote corners of 186-mile-long Lake Powell – created from the Colorado River by the Glen Canyon Dam in the 1960s – from a variety of perspectives. First take an included early morning, 30-minute flight to see the unusual red-rock formations reflecting in the lake; view Rainbow Bridge, the world's largest natural arch. Back on land, embark on an off-road adventure to explore some of the incredible sandstone slot canyons in the Navajo Nation – among the most beautiful in the Southwest. You will have the opportunity to take a further two-hour excursion to Monument Valley in the Navajo Nation, made famous as a setting of many westerns by director John Ford. Led by a river adventure guide, take a float trip down the Colorado River, admiring Glen Canyon's sandstone walls before setting off for Utah's Bryce Canyon National Park. Have lunch en route as you travel across quintessential western landscapes as seen on both the big and small screens. 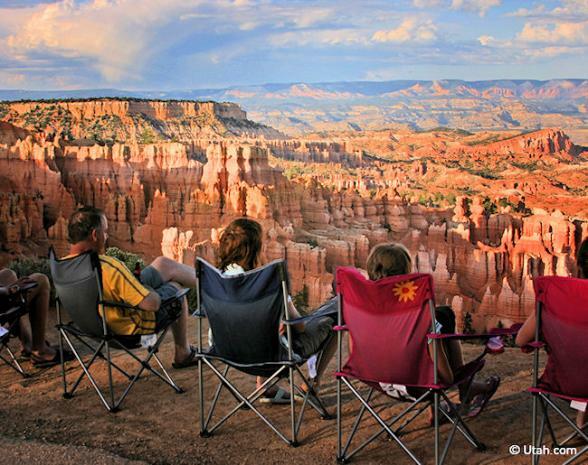 Arrive in Bryce Canyon National Park, where you'll immediately be awed by towering rock pinnacles, strangely sculptured hoodoos and immense semi-circular rock amphitheatres. Keep an eye out for elk, coyotes, marmots, and prairie dogs while driving the canyon rim road. Overnight at a classic national park lodge listed on the National Historic Register. During your free morning, perhaps rise early to watch the sun rise over the hoodoos, or hike on Bryce Canyon's trails to seek out more dramatic views of the park's remarkable features, wildflowers, birds and wildlife. America's Canyonlands began with a Grand Canyon tour, followed by Bryce Canyon - and continues next to Zion National Park, boasting steep canyon walls, odd geologic formations, and a complex ecological system ranging from desert plants to lush greenery on the canyon floor. 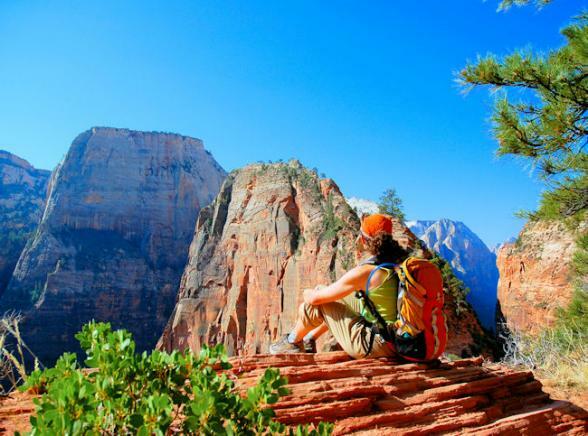 You'll spend the night in historic Zion Lodge, the only accommodation within the national park itself. 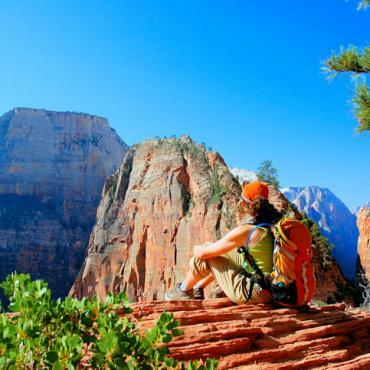 Spend the morning exploring the colour-splashed canyons, waterfalls and pools of Zion National Park at your leisure. Then depart Utah and traverse the northeastern Mojave Desert to the glamour and glittering lights of Las Vegas, Nevada, highlighted by themed casinos, headline entertainers, and a host of other attractions. 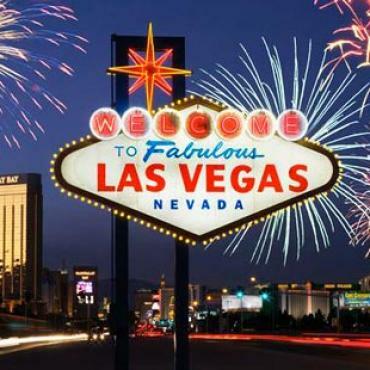 Wrapping up your Zion, Bryce Canyon and Grand Canyon tour with a farewell reception and dinner at the Four Seasons Hotel Las Vegas gives you one last chance to share travel memories with new friends. 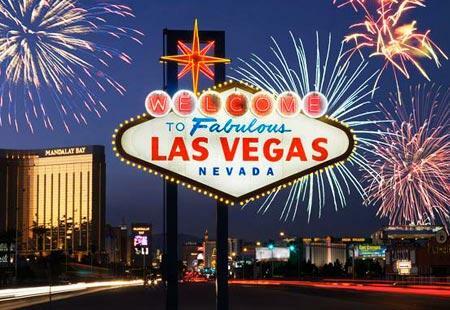 Tauck's comprehensive Zion, Bryce Canyon and Grand Canyon tour ends in Las Vegas. Fly home anytime. After your escorted tour, perhaps you may decide to extend your stay and take a short flight to San Francisco or spend a few days in Las Vegas.